Wearing just one perfume can be boring. Mix and match scents to form your own signature scent. * You may start with lighter perfumes on clothes and put stronger out on the skin, so even if the perfume evaporates from clothes – inside you remains fragrant. * Fragrances from a single note or lighter are easy to layer. If you combine different notes from different fragrances, it may lead to a headache. So, layer two or more favorite perfumes to form one. * You can be creative while mixing your perfumes, but the best way is to stay in the same family such as woody, floral, fresh and citrus as they can gel well with each other. * Keep in mind that layering different fragrances starts when you take shower as you apply scent body lotions which means layering of just scents can be started with perfumes, deodorants, mists, body lotions. A signature scent can be created when layered after a shower. * While layering, a certain fragrance would smell differently on the skin and on clothes, so you need to experiment and see what is going well and where. 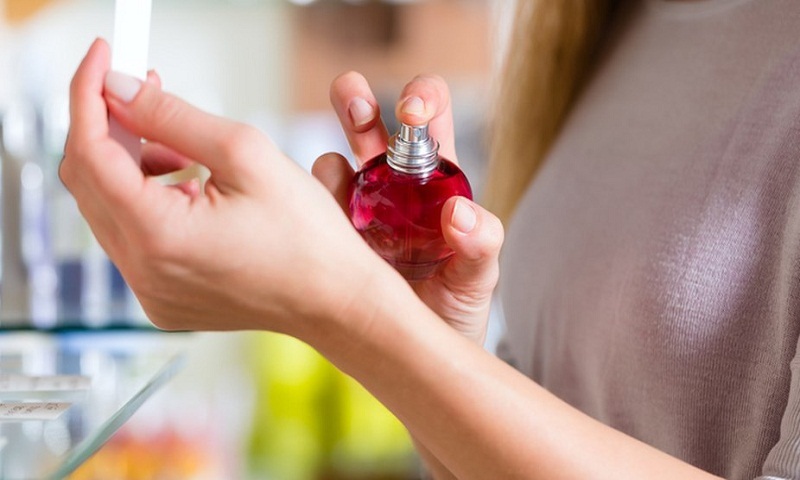 * To have long-lasting fragrances, apply a good body lotion or fragrant oil before using any perfume. * How you apply your perfume or mix of scents does matter a lot. Apply scents at different pulse points like neck, elbow or wrists. Also, the easiest way is to apply scent inside your arms for long-lasting fragrance. * Layer up any two favorite perfumes by mixing one and then the other by pressing on your wrist to form our own signature scent.